The Ascott continues to expand its global presence by opening its first serviced residences in Cyberjaya, Malaysia; Sri Racha, Thailand and Hai Phong, Vietnam. 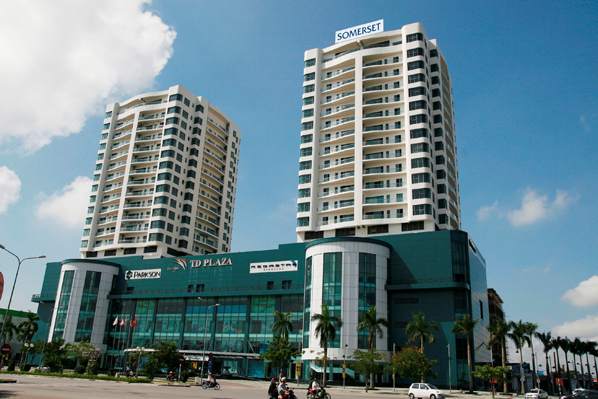 Citadines DPulze Cyberjaya, Citadines Grand Central Sri Racha and Somerset Central TD Hai Phong City are the first international branded serviced residences in the respective cities. Ascott’s first foray into Malaysia’s Multimedia Super Corridor, the 203-unit Citadines DPulze Cyberjaya is its fifth property to open in Malaysia. The 136-unit Citadines Grand Central Sri Racha is Ascott’s tenth property in Thailand while the 132-unit Somerset Central TD Hai Phong City is its ninth property to operate in Vietnam. Lee Chee Koon, Ascott chief executive, said: “Last year, we opened 17 properties and added 28 properties with over 4,800 apartment units to our global portfolio. “Besides expanding through acquisitions, management contracts and leases, we secured our first franchises in Vientiane and Bali. “We also formed strategic alliances in China and Australia to accelerate Ascott’s growth,” Lee said. “In 2015, there will be no let up in our expansion. 2We are on track to achieve our target of 40,000 apartment units worldwide by end this year and aim to have 80,000 units by 2020. “We will continue to expand our presence in key cities in Asia, Europe and the Gulf region to build our scale while exploring new markets with strong potential opportunities for serviced residences,” Lee added. “Ascott is the largest international serviced residence owner-operator in Malaysia, Thailand and Vietnam. “Today, we have opened our first properties in Cyberjaya, Sri Racha and Hai Phong to cater to the increasing demand from multinational companies that are setting up base in these growing cities.